Great Pay & Benefits, New Fleet, Safe Equipment. 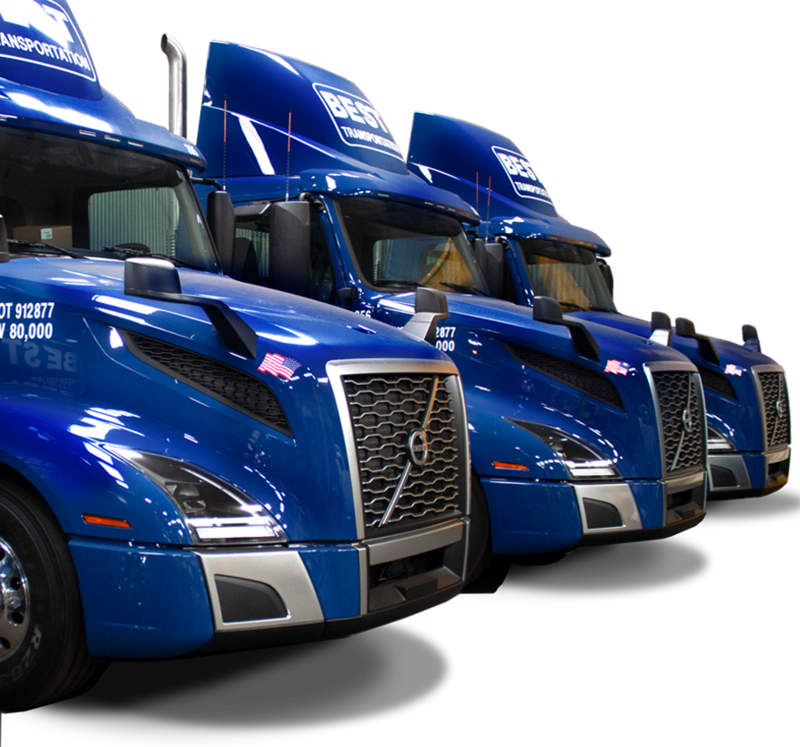 We understand trucking because we were founded by a truck driver. Earn the money you want & get the respect you deserve. Joining the Best team offers much more than just driving. "Best hasn't been just a job for me, it's been a career and I feel respected every day I come to work." "We're a family....It's a flexible environment and there's money to be made." "I'm comfortable knowing my truck will work every single day I come in." "I really like the vibe and to be around hard workers, from the mechanical staff to the warehouse staff." Driving with Best is not a job. It's a career. Apply today.